West Knoxville Sellers – Should You Stay Or Should You Go? With the spring season upon us, this is the time of year where many West Knoxville sellers decide to put their home on the market. The decision to sell your West Knoxville home isn’t always an easy one. It involves a lot of personal, financial, and emotional decisions. If you’re on the fence about selling your West Knoxville home, here area few things to keep in mind. Size. The size of your West Knoxville home can be a big reason to sell your home. Whether your home is too big or too small, a home that isn’t a size that meets your needs can cause you to be unhappy in your home. If the size of your home no longer fits your lifestyle, it might be time to sell your West Knoxville home. Lifestyle. A home that no longer fits your lifestyle can also be a big reason to sell your home. Perhaps you’re an empty nester in a neighborhood full of kids or you live in a condo complex and want to have kids; regardless, if the home doesn’t fit your current lifestyle, it could be time to sell. Craving A Change. A majority of homeowners live sell their homes in cycles of 5 to 7 years. One major reason this can happen is due to the fact that homeowners crave change. If you’re ready for a fresh start in a new home, this spring could be a great time to sell your West Knoxville home. Location. A location can play a huge rule in whether or not your are happy in your West Knoxville home. The aspects about a location that made you happy 10 years ago may no longer be true for your lifestyle. If you’re unhappy where you home is located, it may be time to sell. Maybe your want to be closer to shopping or ready for a more country lifestyle. Low Equity In Your Home. One reason you may want to stay in your West Knoxville home a few years longer is if you don’t have a lot of equity in your home. With home prices rising, a few years could give you a good opportunity to build a little equity in your home. You Generally Like Your Home. Another reason you may decide to stay in your West Knoxville home is if you generally like your home. There may be a few changes you would like to make, but if many of those can be made with simple repairs, it may not be worth selling your home. The Size Is Good. If the size of your West Knoxville home isn’t too big or too small, it might be worth staying in your West Knoxville home. Likely, you’ll end up moving into a home that is the similar size, so it may not be worth moving into another home. You Like The Location. Even if you’re kind of on the fence about your West Knoxville home, if you really like the location, it can be hard to give it up. Maybe you’re close to everything, love your neighborhood, or have great neighbors; regardless, a location can really make a home worth staying in. 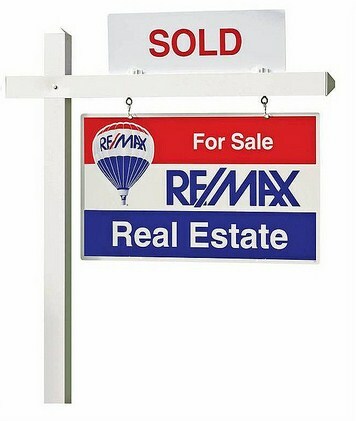 Are you thinking about selling your West Knoxville this year? Please let us know if there is anyway that Knoxville Home Team can assist you. Rick can be reached at 865-696-9002 or via email at Rick@KnoxvilleHomeTeam.Com. Kati can be reached at Kati@KnoxvilleHomeTeam.Com.